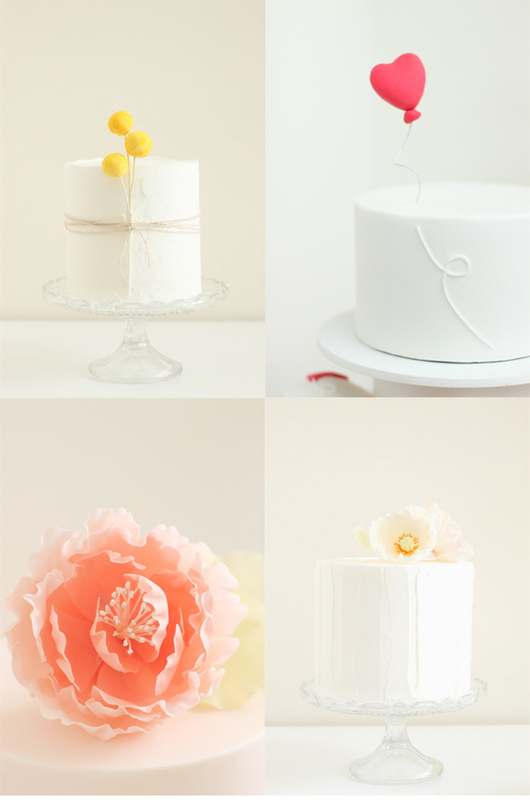 Last night, I followed a link only to discover the most beautiful cake designs made by Hello Naomi. So lovely! Isn't her blog beautiful! and wouldn't it be fun to take one of her cake decorating classes? These are divine - thank you for sharing! wow, so pretty! I was learning about cake decorating a while back but then got sidetracked... I would looove to start doing it again, though. She is brilliant, I've admired her pretty cakes for a long time! I love her restraint but attention to perfect every detail when she designs them! She is so talented. I love her cakes!! The simplicity of these are just perfect. Ah, don't you love those Pinterest discoveries?! these are exquisite. so pure and simple in their beauty.